Will Bolivia’s Evo Morales chart an exit from his Capitalist Bridge to the promised land of Socialism? Or will a cabal of oligarchs conspire to block all exits from the Bridge? To read Chris Williams’ and Marcela Olivera’s long and full account, with photos, of Morales’/Bolivia’s venture into uncharted political, economic, social territory, click on the following linked title. Alternatively, below is an abridged, slightly reorganized version, sans most photos, but with a parade of six section headings, hanging indented subheadings, and text highlighting, all of which are designed to facilitate browsing and selective reading. 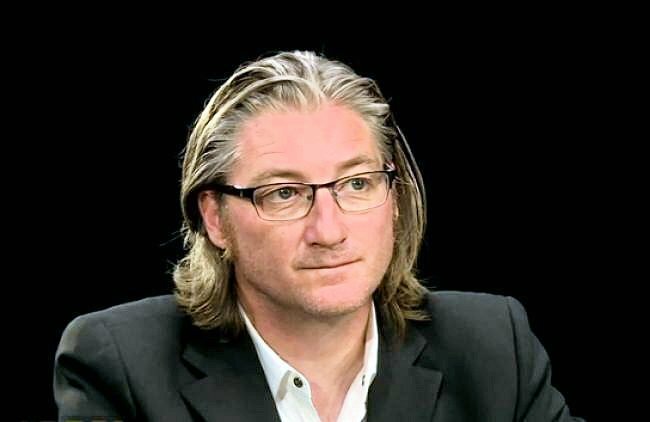 There is an increasing gap between, on the one hand, the radical but often very vague provisions for communitarian and proactive environmental management in the new Constitution and the Law of Mother Earth, and, on the other hand, the heavy investments made by the Bolivian state in natural resource extraction and infrastructure development at very high environmental costs. It seems likely that the type of clashes between social movements and the government as the one around TIPNIS [Indigenous Territory Isiboro Secure National Park] will continue to grow unless this gap is narrowed. Exports of gold are now 8,000 kilograms per year, which means a record use of mercury (15,000 tons per year), cyanide and other toxic substances to separate gold from its ore.
Bolivia has significant natural resource wealth, sustainable management of which is, perhaps, Morales’ largest challenge. The country was once home to the Spanish crown’s richest silver and gold mine, at Potosí, and one of the world’s most lucrative tin mines. Now, 500 years later, Bolivia still contains two of the largest active silver mines in the world, at San Cristóbal and San Bartolomé. In Potosí, one mountain alone annually releases into the surrounding waterways an estimated 161 tons of zinc, 157 tons of iron, more than two tons of arsenic and scores of other toxic minerals, such as cadmium and lead. Bolivia became a landlocked country when it lost land to Chile in the 1800s, in a war fomented and orchestrated by Britain, in order to secure access to guano: an essential ingredient needed to replenish the fading fertility of British soils, prior to the invention of the Haber-Bosch process for the manufacture of nitrogenous fertilizer. In the east, at Mutún, lies one of the largest future iron ore mines, which first India and now China are financing for development. Half the world’s reserves of lithium (not currently exploited) sit high up in the otherworldly, surreal salt deposits of Salar de Uyuni. 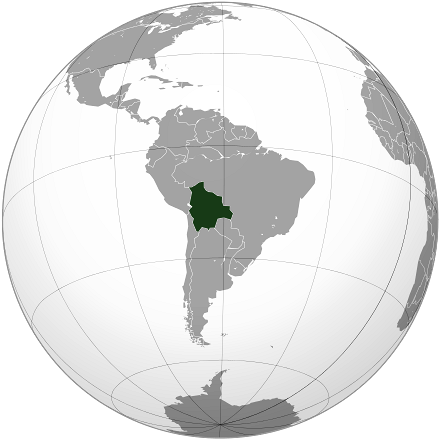 After Venezuela, Bolivia has the largest gas reserves in South America. At 3,700m the other-wordly salt desert of Salar de Iyuni glistens in the high altitude sun. Here, with minimal road, rail or air connections, is where the lithium deposits that Evo Morales wants to develop are located. Coveted by foreign and domestic elites over the generations, ruthless extraction of Bolivia’s bountiful natural resources has concentrated the natural and social wealth of the country in a small group at the top of society, and exposed Bolivians to an extreme degree of imperial intrigue and attempted subjugation. First at the hands of Spain, then Britain, and more recently the United States and World Bank-inspired structural adjustment programs, Bolivians have been rewarded with a succession of dictatorships, extreme concentration of land ownership (despite redistribution after the 1952 revolution and some land reform under Morales, which is stuck today), poverty and extensive environmental contamination of their air, soil and water. The historical and ongoing cost of environmental degradation is estimated to account for more than 6 percent of Bolivian GDP. All of this has laid the groundwork for the growth of massive social, labor and indigenous unrest and the rise of the social movements at the turn of the 21st century, on the back of which Morales was elected and re-elected to power. In another example, Bolivian feminists and activists are asking, with so much concern expressed for the rights of Mother Earth, where is the concern for the rights of actual women and mothers? Women are routinely degraded in both the language of government officials and their policies. Morales and other elected officials continuously make sexist statements that have inspired the women’s sectors to organize protests and mobilizations against these statements and actions. These comments reflect the dominant attitude toward women from the current administration. The Morales government, appearing to honor public opinion on this matter, recently enacted a law criminalizing the serious problem in Bolivia of political violence against women and has put more government funding toward child care. However, it remains illegal to have an abortion in Bolivia, depriving women of their right to reproductive choice, and several clear cases of violence against women perpetrated by MAS party members or government officials have been ignored. In addition, little has been done to develop legislation favorable to the LGBT community. As women’s oppression is a bedrock foundational requirement for the successful operation of capitalism, a basic expectation of any government or leader claiming to represent a move away from capitalism, and toward socialism and respect for pachamama, must address these issues. Yet now, another threat has emerged of particular concern to a country that bears little responsibility for causing it: anthropogenic climate change. From a climate perspective, even if average global warming is kept to 2 degrees Celsius (and we are currently on track for 4), regions in the middle of continents, such as Bolivia, will warm appreciably more than coastal regions. Furthermore, based on data from the Alps and Rocky Mountains, there will be more warming at higher altitudes: between 1.5 and two times greater warming than at lower elevations. With 12 distinct ecological regions, Bolivia is one of the most biologically diverse countries in the world. The changes in elevation, along with vastly different rainfall patterns from alternate sides of the Andes, create micro-climates that have aided the evolution of a large number of species indigenous to Bolivia. In addition, the agricultural practices of Bolivian farmers have supported a diverse array of plant varieties. For example, in stark contrast to monoculture farming, several hundred different varieties of potato are grown in the Bolivian Andes, as a resilient subsistence food by 200,000 small-scale farmers. This is all threatened by a warming climate. Because more humidity accompanies warmer air, more extreme water-related events, such as the 2014 flooding of the low-lying savanna in the department of Beni, are likely to occur with increasing frequency. Meanwhile, as some areas become wetter, the altiplano (the high plains between the Andes mountains) will become even drier. People in high elevation areas such as the cities of El Alto and La Paz will become more dependent on melting snowpack from glaciers and mountain lakes, even as these water sources gradually diminish: Bolivia is losing all its glaciers below 5,400 meters. Flooding will be followed by drought. Rios Miranda is categorical in his conviction that “under Evo, everything is different,” including his ability as an indigenous person to have a say in politics and be accepted in the new plurinational state because Morales has focused so much on changing the constitution to provide more government funds, projects and jobs for ordinary Bolivians. One thing that has not changed during the almost 10 years of Morales’ rule, however, is the state of the Pallina River, which runs through Rios Miranda’s farmland. Where Rios Miranda used to catch frogs and fish as a young man is visibly polluted, and he must keep his animals from drinking from it. The single water treatment plant in El Alto, which was never designed for the kind of industrial effluent that flows unchecked from the tanneries, factories and clandestine slaughterhouses, is completely inadequate. And so the poisoned, alternately bright green, orange and red foaming water that flows through Rios Miranda’s land eventually reaches Lake Titicaca, where, according to Iván Marcelo Castillo, a worker for the Bolivian Environmental Defense Fund, who hails from a village between La Paz and Lake Titicaca, it’s responsible for contaminating 35 communities. Of the river, Rios Miranda said, “We believe even our grandchildren will drink contaminated water.” A round trip by donkey to Laja for water takes two hours, but he now has a government-provided standpipe, which the community shares, and has hopes for electricity and gas soon. Where he once had a bull and plough, there is now a tractor to rent by the hour for the community, and milk to sell in El Alto. Meanwhile, large numbers of people in Cochabamba continue to lack potable water, basic sewage treatment is almost entirely absent, and the Rio Rocha that flows through the city is as contaminated and polluted as the Pallina River. In an example of how interconnected ecosystems are with climate, higher average temperatures will lead to an increase in evaporation, causing soils to dry out. In turn, drier soils will increase erosion and loss of topsoil, an effect that will be compounded by two other effects of a warmer climate. More rain, falling more intensely, in shorter time periods, will exacerbate soil erosion, as will higher wind speeds caused by extra energy held in the atmosphere. These effects in turn will increase the likelihood of wildfires on forest land, though rapid deforestation for the expansion of agribusiness, primarily soya, is occurring in many lowland areas of Bolivia. One might think that the ability to grow crops higher up the sides of mountains that don’t freeze as often could be a positive change. However, Bolivian farmers have long known how to minimize risk due to rainfall variability and temperature gradients, by farming in different ways at different altitudes. The altiplano has traditionally been suited to the grazing of llama and alpaca only; somewhat lower, there’s terraced agriculture based on cold and drought-resistant crops such as quinoa (which also has a high tolerance to higher frequency solar radiation); while lower down still, some crops such as maize are able to grow. But this stable, interconnected and resilient form of integrated farming practices is threatened by warmer temperatures, as agriculture has been moving up mountainsides: 200 meters over the last 30 years. Hence, as grazing becomes more restricted and difficult, conflicts are emerging between herders and farmers. Furthermore, the pre-Incan altiplano staple food, chuño, made from freeze-dried potatoes that remain edible for several years, is threatened because nighttime temperatures are not falling below freezing for long enough or with the same regularity. Without land redistribution, smaller and smaller plots of land, which dominate the highlands, force peasant farmers to over exploit their lands, intensifying soil degradation and erosion. Systematic and significant land reform would almost certainly reignite the fight between MAS and the right-wing, racist landholders in and around Santa Cruz, where the largest landholdings are concentrated. The social movements, political parties and activists who brought Morales to power continually question the environmental sustainability for which Morales is seen as a standard bearer of optimism and rhetorical opposition to capitalism’s anti-ecological heart by those outside the country. Outside of Bolivia, many on the left uncritically absorb Morales’ oratorical opposition to capitalism’s ecologically destructive and socially divisive modus operandi. However, the social movements, political parties and activists who created the conditions for him to come to power, continue to question his actual commitment to environmental sustainability and social justice. 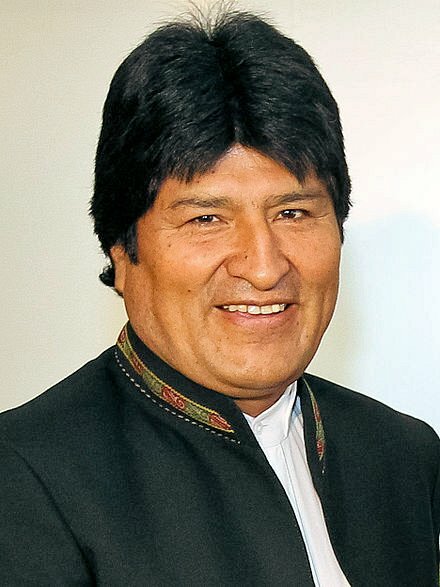 For example, in contrast with this international image, Morales announced in early 2014 that Bolivia had ambitions to build a nuclear power plant, stating, “Bolivia cannot remain excluded from this technology, which belongs to all humankind.” He seems to disregard that a giant, centralized nuclear power plant, with all the dangers and expense that would entail, is hardly the answer to the energy needs of Bolivia, let alone respectful of the rights of Mother Earth. One only need ask the still suffering people of Fukushima for the most recent evidence of that. The state seeks to capture a bigger share of the rents derived, and to use it to fund social programmes and redistributive policies. This helps legitimize extractivismo and silence its critics, with those opposing it portrayed as working against the national interest. Extractivismo comes to be seen as the fundamental driver of growth, providing the resources to combat poverty. This growth model conflicts with other notions of development, such as those associated with ‘buen vivir’ or ‘vivir bien’ in countries like Ecuador and Bolivia. Morales’ government has tried to solve the contradictions inherent in property ownership of public goods such as oil, gas, water and electricity through a state-led process that some have called nationalization, but which, in fact, is more a favorable renegotiation of contracts with the oil and gas companies already operating in the country and the statalization of other sources. Which is to say, that the state is intruding into new areas of the economy and life of Bolivians in a more vigorous manner, which is a larger feature of the Morales regime than any extensive nationalization of significant sectors of the economy. We never thought that the government was going to statalize the electricity company because the phone cooperative and the electricity workers were its owners. On May Day they took away our company through a decree. We, the workers, nationalized the company. In just one night, they occupied the company with soldiers like during the worst dictatorship and they kicked us out of there. After it came to power, the Morales government declared its intention to nationalize the so-called “strategically important” companies and, in 2010, it continued prior nationalizations of oil and gas when it nationalized ELFEC. The government appointed three arbitrators to oversee the process. These arbitrators declared that the existing worker and cooperative ownership was acquired illegally. As the elected workers’ representative and president of ELFEC, Viscarra refused to hand over control of the utility unless the workforce was compensated for its original severance-payment outlay and ownership. Although he has been placed under house arrest for the last two and a half years, and threatened with imprisonment, Viscarra has held firm to his convictions that although he agrees the Bolivian government has the right to nationalize the company, it must compensate the workers who are running it and are part owners. Nationalization implies that the state takes over, with or without compensation, privately run corporations so as to run them as services for the people, rather than for-profit businesses, thus diverting cash from private investors toward the government treasury and social programs to address inequity in society and for the common good. Nationalization in Bolivia, however, is more complex than this definition implies. While the Bolivian government has taken controlling stakes in the oil and gas sector, not a single foreign fossil fuel corporation has left Bolivia. While the Morales government is taking a larger percentage of royalties from Bolivia’s abundant gas fields, the increases in commodity prices and gas production for export have more than compensated the private corporations. Hence, though the Bolivian treasury is much healthier, fossil fuel corporations operating in Bolivia are making about as much money now as they were before “nationalization,” as Morales has in practice maintained an investor-friendly climate. Indeed, the small worker and management-owned electricity company ELFEC is much more worthy of the term “nationalization” (without compensation to the workers), than the giant fossil fuel corporations. Viscarra has been unable to leave his apartment for two and half years – even to visit his family – and is presently in a judicial limbo. He remains under house arrest, without definitive evidence against him, but with no idea whether he will be freed, put on trial or gain knowledge of what his future holds. Public Sectors International and several unions in Bolivia have mobilized in support of Viscarra, starting a defense campaign and writing letters to the government of Bolivia demanding that he be released immediately. His imprisonment is a stain on the government of Bolivia and represents a direct attack on the self-organization of workers and trade union rights. When a country with a left-wing president elected through an outpouring of popular outrage and self-mobilization receives fulsome praise for its economic policies from the neoliberal bastion of the World Bank – and imprisons a workers’ leader, to boot – it is fair to assume that not all is playing out according to the hopes of the popular movement. However, our skepticism must dig deeper than an argument about whether the debate over “extractivismo” is necessary given the history, and economic and social power of a deeply impoverished, small Latin American country, or whether the Morales government has done all it can to reduce poverty, inequality and racism. That’s because Morales doesn’t have complete freedom to act. There are real constraints in the shape of international capital, class consciousness in Bolivia, the strength of the domestic right wing, and the economically and technologically impoverished state of the country. An honest assessment is, therefore, not simply a balance sheet of pros and cons totted up on a spreadsheet of left versus right. A deeper analysis of the evolution of the Morales government requires examining the evolving social dynamics within the country, and whether the government is concentrating power in the hands of the state, or, conversely, trusting the people who brought it to power. A true economic shift would require placing the power to make economic and political decisions more frequently and obviously in the people’s hands, even as particular policies may be inadequate in the immediate sense and subject to practical and political limits. With so much natural gas being extracted in Bolivia, there is more than enough to satisfy domestic demand and increase exports to Brazil and elsewhere. As it’s so cheap, most taxis and many cars have been converted to run on natural gas. Additionally, a real move toward socialism would require definitively shifting away from the capitalist pathway of intensified human and planetary exploitation and showing the world that a different road out of poverty and inequality is possible. This would mean not just redistributing some of the wealth gained from exports of natural gas, mining and industry, but fundamentally reordering the country’s social and political priorities. Is Morales meeting the peoples’ expectations of what they fought for? There is too much at stake not to pose the question: Is this what people imagining a different world are fighting for? Perhaps not as an end result, but does the Bolivian model headed by Morales offer a template for a step along the path toward more comprehensive and fundamental social change? Or will only a resumption of social unrest at a higher and more sustained level be required before MAS actually prioritizes the goals it advertises? Or, further, will wholly new political formations and parties be required? In the period since 2000 Bolivia has successfully overthrown a neoliberal regime and begun to build new institutions and policies, especially a re-founded state that is less alienated from the mass of the population than the neoliberal capitalist state. Clearly this is still a project under construction, but it raises the wider issue, important far beyond Bolivia, as to whether and how the capitalist state can be reshaped as part of the building of that ‘other world’ which is so necessary. What would such a state look like? How would it function? The new Bolivian constitution, alongside radical initiatives elsewhere in Latin America, from the Zapatistas’ alternative local state structures in Chiapas, Mexico, to the Venezuelan communal councils, may help to take such questions forward. The electoral victory gave Morales and his administration the right to govern. However, for many people, the massive electoral support for Evo and his political party MAS signified, above all, the possibility of expanding and consolidating communitarian-popular power. In Bolivia, especially between 2006 and 2008, people expressed that they wanted to take charge of public affairs according to other logics – much more direct, horizontal and on smaller scales – that would allow communities, and by connection, the nation, to reappropriate the common wealth that had been stolen by multinationals and their domestic allies. However, localized self-management, without broader coordination, is entirely inadequate for an effectively functioning, equitable and ecological society. Therefore, it also seems necessary to establish some form of broader organization, coordinated across different sectors and localities: a bottom-up, centralized, democratically elected body that can plan and coordinate the reconstruction of society. This body would function, essentially, as a state controlled by the people. There is a problem with the current Bolivian economic model. Because we export the minerals and we import the tools to get them. That we need to consider these two things so that we can have a mining policy that is relevant. We are not industrializing and using the minerals that we are digging out of the ground. We have to keep the reserves and keep some of them underground. And there needs to be multilateral talks with other countries, like Congo and Colombia, so that we can make planned arrangements for what is needed. Will the Morales government continue down its developmentalist, neo-extractivist pathway? Or can Bolivians create their own government, responsive to the needs of the people? As labor leader Oscar Olivera remarked in an interview this year, “We thought that having Evo Morales in government would change things. And many things have changed. But we know now that not enough has changed. These are all important lessons for the success of future struggles: As more and more people all over the world are seeing the need for “system change,” we need to know what is required to achieve it. In that sense, Bolivia offers us the most concrete and useful lessons yet about what might work and what we must be wary of. According to Olivera, the people won in Cochabamba because of two things: an all-encompassing cosmo-vision based on indigenous values of reciprocity and solidarity, and organization and coordination at every level. That is to say, what was present was a dramatically different vision for a radically reordered world that went far beyond reforming current institutions, allied with the kind of broad and deep working-class self-organization required to bring about that vision. Therefore, not only should we aspire to a profoundly reorganized and different world – one that is based on cooperation, not competition; and real democracy and production for need, not profit – but we should also build strong, democratic and transparent organizations so that the voices of the people are represented at every level of decision-making. 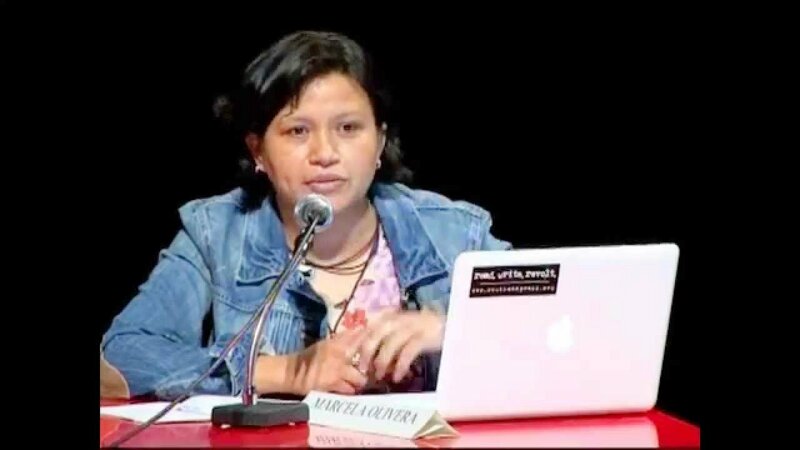 Marcela Olivera — Marcela Olivera is a water commons organizer based in Cochabamba, Bolivia. After graduating from the Catholic University in Cochabamba, Bolivia, Marcela worked for four years in Cochabamba as the key international liaison for the Coalition for the Defense of Water and Life, the organization that fought and defeated water privatization in Bolivia. Since 2004, she has been developing and consolidating an inter-American citizens’ network on water justice named Red VIDA. Chris Williams — Chris Williams is a Truthout Writer-in-Residence. He is also an environmental activist and author of Ecology and Socialism: Solutions to Capitalist Ecological Crisis. He is chairman of the science department at Packer Collegiate Institute and adjunct professor at Pace University in the department of chemistry and physical science. 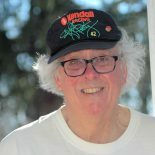 His writings have appeared in Z Magazine, Green Left Weekly, Alternet, Common Dreams, Climate and Capitalism, Counterpunch, The Indypendent, Dissident Voice, International Socialist Review, Truthout, Socialist Worker and ZNet. He reported from Fukushima and was a Lannan writer-in-residence in Marfa, Texas. He recently was awarded a Lannan Cultural Freedom Fellowship. This entry was posted on April 26, 2015 by fjwhite in climate change, evidence based counterpower, government action, Indigenous people's counterpower, leadership, politician counterpower, social movements, sustainability, women's counterpower and tagged anti-capitalism protests, Bolivia, capitalism, Evo Morales, socialism.